MHacks, the Midwest’s largest university hackathon, is in our neck of the woods this weekend and we’re stoked! Facebook recruiter Will Barnett stopped by on the way to the big event and gave us some great hackathon tips to share with you. Think about something that bothered you today and find a way to fix it. Chances are it bothers more than just you, fix it and make the world slightly better! Sites like Facebook, Twitter, Google, Yelp, IMDb, Wikipedia, Reddit, Stackoverflow, data.gov have great data sets. Pick a language or framework and build something that helps you learn. If you’ve never hacked on mobile, do it today. Want to get noticed by Will and awesome hackers? Post your hacks from Mhacks or other hackathons on Seelio. You might just land an interview with Facebook! When they’re not being featured in The New York Times or Business Insider about their SEED (Startup Education and Entrepreneurial Development) Program, the folks at H. Bloom are rolling up their sleeves and embracing the loads of work that come along with being the world’s fastest growing floral delivery service. Business Insider, October 2, 2012. As a continuation of our Day In the Life Series, I had a chance to interview Rebekah Rombom, H. Bloom‘s Talent Director, about the SEED Program and I got some tips about startup skills students on Seelio should highlight when applying to H. Bloom’s openings in New York or San Francisco. 1) What is the SEED Program? SEED is a formal leadership training program that gives recent college grads all the startup skills they need to run a business. The program runs anywhere from 6 months to 1 year and gives participants the chance to be a part of our fast-paced startup environment with dedicated 1-on-1 time with H. Bloom’s top executives, operations training led by a SEED graduate, and classes on starting and managing a business led by the CEO. 2) Why did H. Bloom launch the SEED Program? The company was born out of the desire to disrupt the floral business (an industry that was begging for disruption!) and to do it as quickly as possible with the highest possible level of delight for all of our customers. When you’re growing as fast as we are (in the last two years we expanded to San Francisco, Chicago, DC and Dallas), you need great leaders. We developed this program to bring in people who are naturally entrepreneurial and give them the training and support they need to be successful in this business. 3) What makes someone a good fit for the SEED Program? We’re looking for all of the typical startup skills that make a good entrepreneur: hunger, drive and ambition. I need someone who will enthusiastically embrace the grind. It’s not always easy or fun showing up at 6:30AM on Mondays to make sure all of the deliveries are ready and on time, but, when someone shows that they can see a larger vision and execute, we know they’ll be a great fit. 4) On that note, what how can applicants stand out? Two of our most successful program participants (who are now running markets in Chicago and San Francisco) showed that this program was a continuation of their entrepreneurial experience. One saw an opportunity at his school to start a business selling flowers to families of recent college graduates on graduation day. It was a great example of scrappiness– jumping on an opportunity and making something happen. The fact that it was an experience related to our industry was just the cherry on top! The other previously worked at Enterprise which has a great leadership development program but also requires true attention to detail and the ability to work through the grind. Ultimately, these are the type of people we want to be a part of SEED. 5) Tell me about a typical day in the SEED Program. 6:30-10AM, Monday: Arrive at work and begin prepping, managing and guiding the floral delivery team so that each product looks fantastic and all deliveries happen on time. 10-11AM: Sit in on a meeting with your Market Manager (who is also your mentor throughout the program), the design team, and the sales team to review the prior week and plan for the week ahead. 12-1PM: Meet up with H. Bloom’s CEO, Bryan Burkhart, for a one-on-one lunch to talk about what’s going well, what changes you’d recommend, and what you’re learning so far in the program. Other weeks you’ll sit down for one-on-ones with executives like the COO or other functional leaders at H. Bloom. 3-4PM: Grab a seat for your weekly one-on-one with your Market Manager to check in on how things are going and share feedback about the program. 4-5:30PM: Join other SEED Program participants for an H. Bloom University Operations course, Flowers 101, led by an H. Bloom Buyer. 5:30-6:30PM: Present a few ideas on the weekly manager call about how you think H. Bloom’s route planning process could be improved. After a brief discussion the other managers offer feedback and agree to launch your improvements for the next week of deliveries. It’s your responsibility to gather the metrics from each market, so we know whether it’s working. 7PM: Go out for drinks. You’ve earned it. 6) What’s been most surprising about the SEED Program? How quickly it worked! Our 25 year-old manager in Chicago had never even set foot in the windy city and he put his startup skills to work by assembling a team that achieved a $1 million run rate in a year all while opening a brand new market for H. Bloom. Our graduates are moving mountains inside of H. Bloom. It’s phenomenal to see. 7) What advice would you give to college students who are interested in startup life and the SEED Program? Make sure that it’s right for you. It’s an amazing experience, but it’s not for everyone. The work is hard, the hours are long, and you’ll face a hundred challenges and new decisions every day. Understand whether entrepreneurship is for you. Get a side gig and make a job out of something that didn’t exist before. Can you make it work? Do you like it? How fast can you make it grow? If you’re bitten by the entrepreneurship bug, and have a hunger to be part of something big, get in touch. We’d love to have you on our team. Want to throw your name in the hat for a spot in H. Bloom’s SEED Program? Apply on Seelio for a chance to hone your startup skills in New York or San Francisco! Evan Frankel (left) and Adrian Brady-Cesana (right), New York Assistant Market Manager and New York Market Manager, during the SEED program, and then again after graduation. 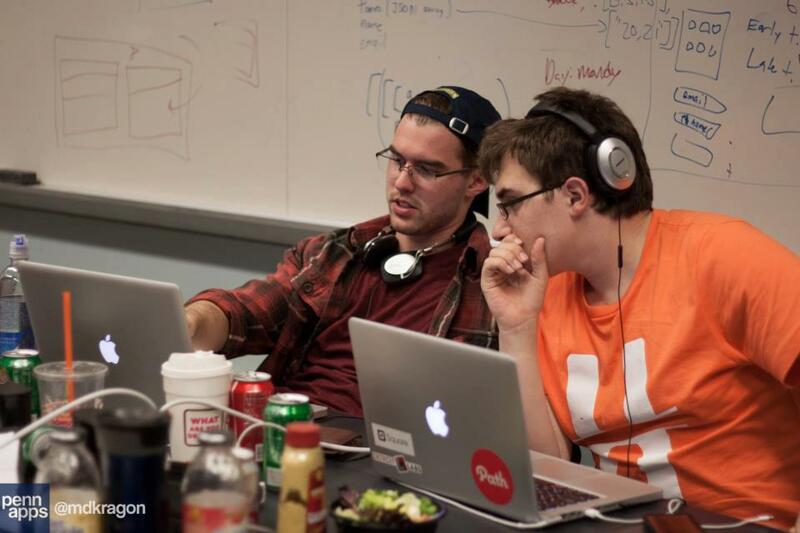 MHacks, one of the biggest student hackathons in the country is coming up this weekend. They posted this blog earlier on how exactly hackathons work, we wanted to make sure you saw it too. Enjoy, and look for Seelio @ MHacks this weekend! Hackathons are fast-paced contests, limited to typically 12-36 hours of work, in which teams of computer programmers code a software application. Form a team. Choose people you would enjoy spending time with and have complementary skills. Backend, frontend, design – these skills are all needed for a great hack! Identify a problem. Well…not every team necessarily does that. But teams think of a problem or idea to base their hack on. Come up with the solution. How can building ‘X’ solve ‘Y’. It’s perfectly fine to hack together a game or “fun” application (by denise). But if you want to win a prize and typically create something of great value, build something people “need”, not just “want”. Execute on your idea. Build the application, and on the side, the name, logo and website that goes with it. Present your finished application. Teams demo their apps to judges/investors. (Hopefully) collect your prize. If your hack best used a sponsored API or won another category prize, you take home money, a SF trip or something else cool. Is this everything that goes with a hackathon? No. But it’s an outline of what a hackathon is and what teams must do to win the grand prize. The post originally appeared on the MHacks blog. You can find the original post here and if this post piqued your interest, learn all about the official MHacks event on their site!